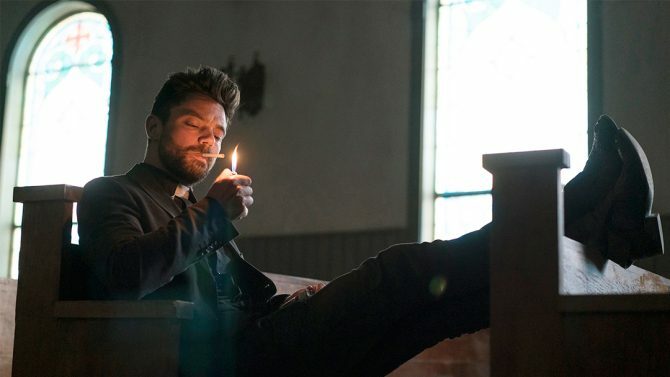 The Seth Rogen-led adaptation of the DC comic Preacher for AMC released first-look images today, giving hungry fans a look at upcoming characters Custer, Tulip, and Cassidy. Rogen tweeted the images ahead of the show’s preview screening at SXSW next week. 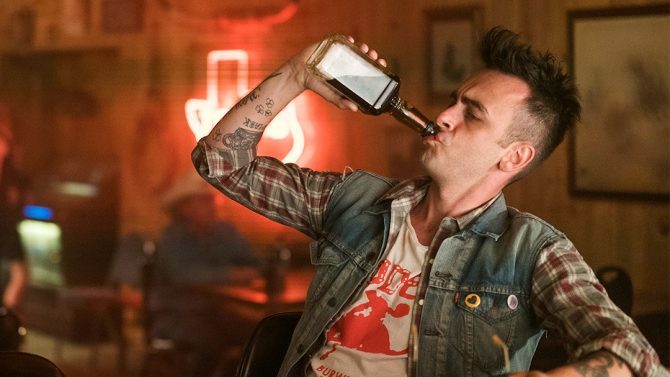 The comic was written for DC’s Vertigo imprint and draws heavily on Westerns, supernatural stories, and religious mythology told in an adult context. One of the inspirations was a storyline from creator Garth Ennis’ ‘Hellblazer’ story, in which a demon and an angel mate and the soul of their offspring is born into mankind as a creature named Genesis. 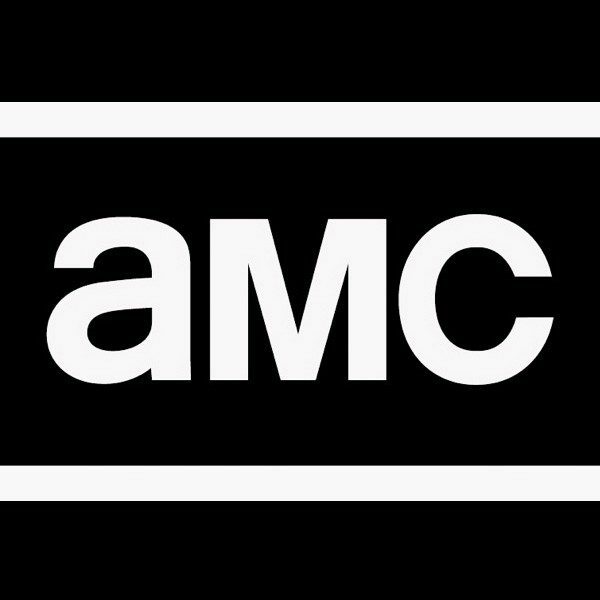 Tom Brooke will play Fiore in the AMC series, one of two angels tasked with watching Genesis. 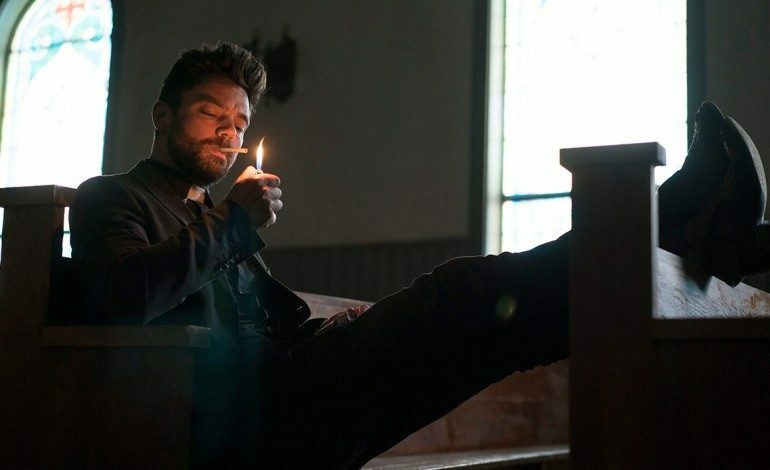 The photos give us a look at the main character Jesse Custer (Dominic Cooper), a scarred, hard-drinking, small-town preacher harboring a mysterious spirit. 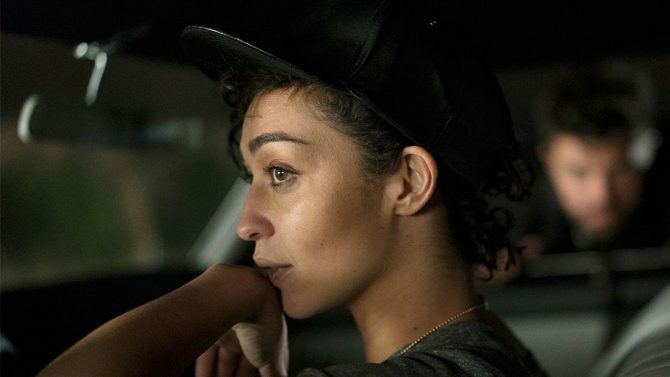 His ex-girlfriend Tulip is played by Ruth Negga, and a companion, an Irish drifter named Cassidy, is played by Joseph Gilgun. 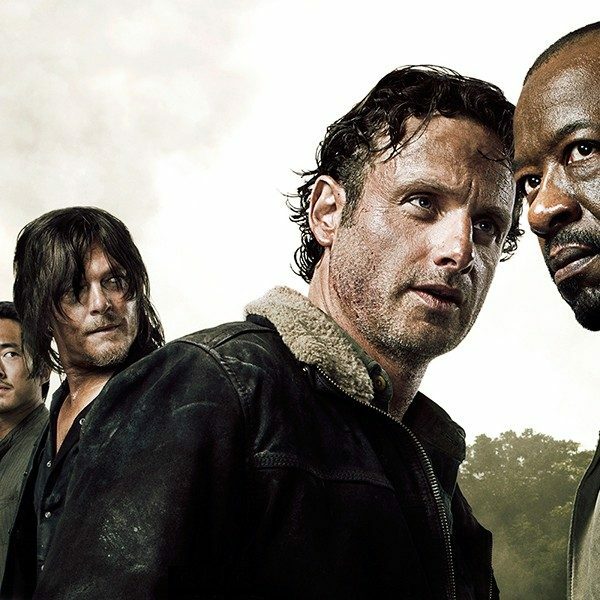 We previously took a look here at the way the show’s plot will diverge from the comic, but these early photos give us an idea that the series will maintain a gritty look that serves the tough story. As we previously noted Rogen and co-creator Evan Goldberg (Superbad) are intent on honoring the series’ fans. The look seems to follow the lead of Netflix, who gave the primary-colored Marvel Cinematic Universe a makeover with gritty adaptations of Daredevil and Jessica Jones. In doing so they roped in a legion of fans and there’s no doubt DC took notice.